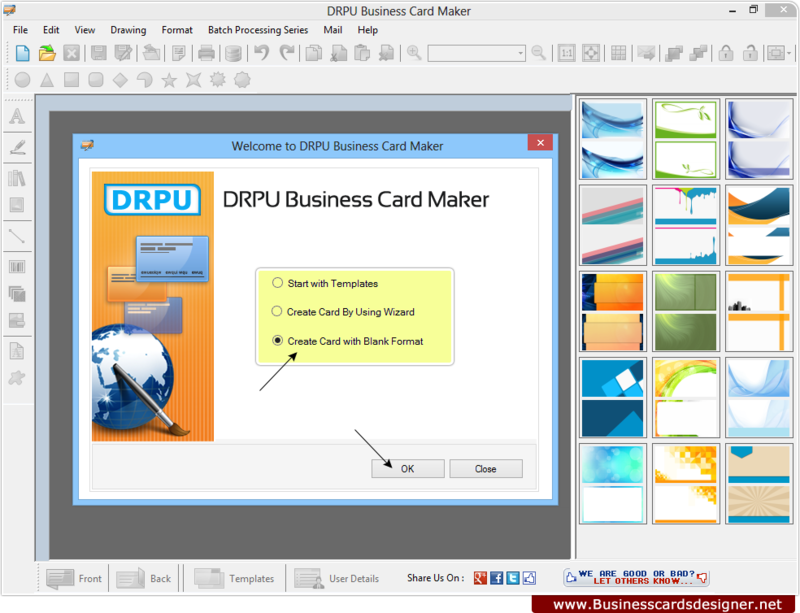 Choose option “Create Card with Blank Format” and click on OK button to proceed. 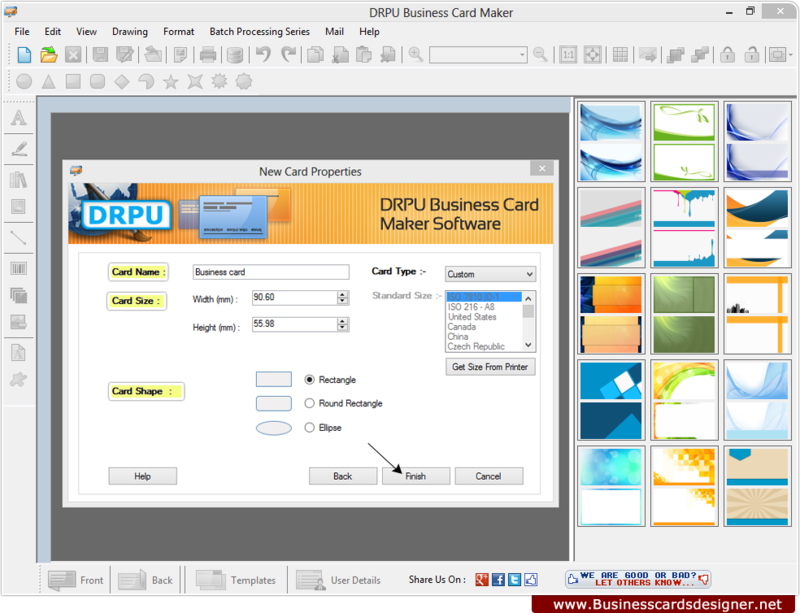 Specify Card name, Card Size and Card shape as per choice. 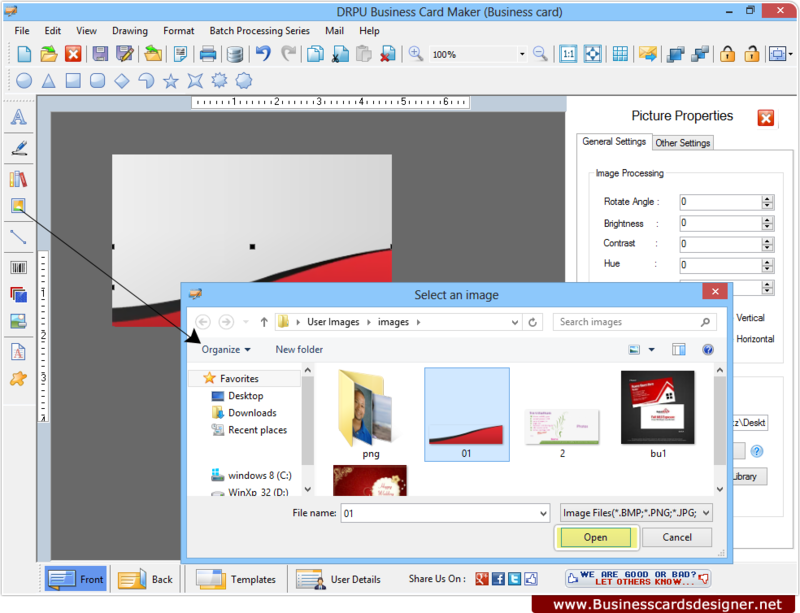 Click on picture icon from left panel and browse image to design business card. 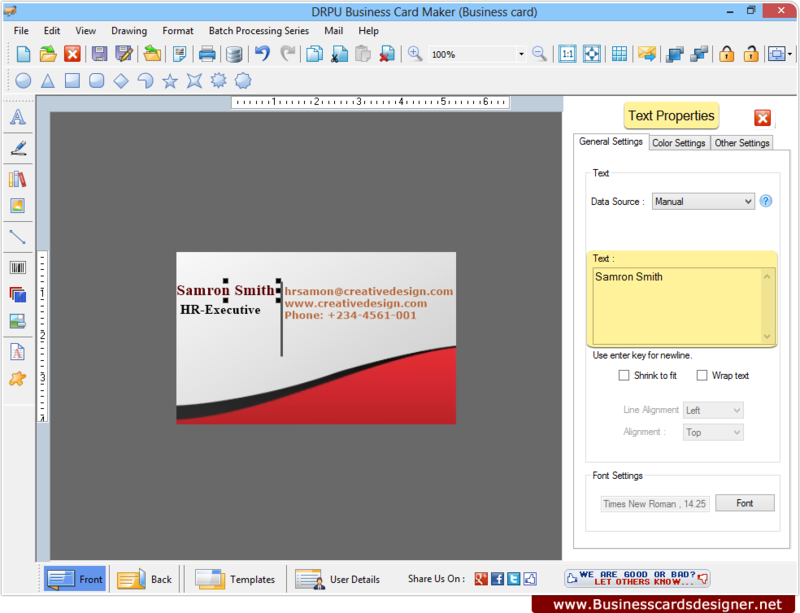 Insert text on business card using Text properties. You can set font settings, color settings and other settings of text. 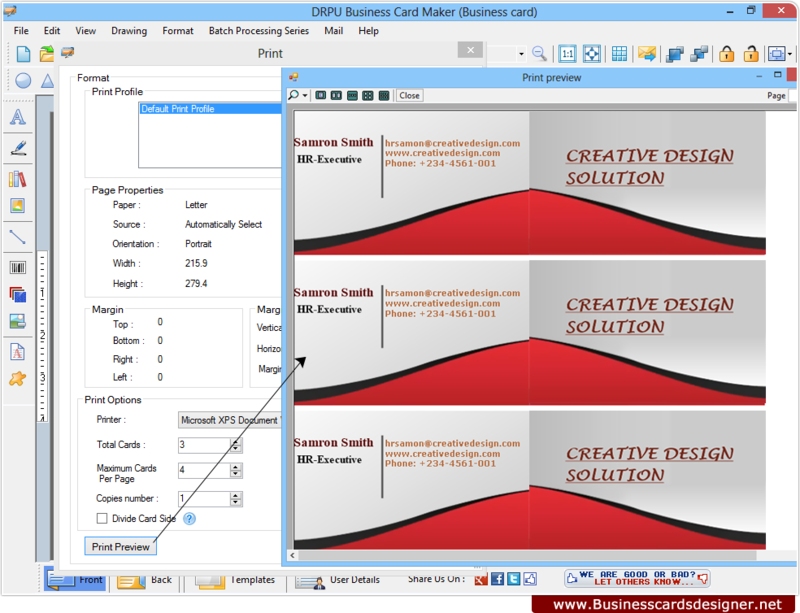 Click on Print Preview button to view preview of designed business card before actual printing.